In our fast-paced lives, we are constantly looking for things and situations that will make us feel happy. While chasing the mirage of a stress-free life, people often try out different solutions—meditation, yoga, physical exercise, chanting, herbal concoctions, self-help camps, motivational talks and so on. All this has given rise to a happiness or “feel good” industry in recent years. But we seldom peep into ourselves, our body and the brain—which is the seat of all feelings and emotions, including happiness. In recent years, scientists have done phenomenal research in understanding the biological basis of human feelings like happiness, anger and sadness. Advances in molecular biology are providing scientists new ways of exploring different mechanisms and circuits in the human brain and how they control our behaviour. It is now possible to “see” changes occurring in the brain circuitry as people experience emotions. We read about the results of new studies on various aspects of the human brain, but often miss out on the bigger picture. German physicist and science writer, Stefan Klein, has tried to fill this gap. And the bigger picture that emerges is quite fascinating. 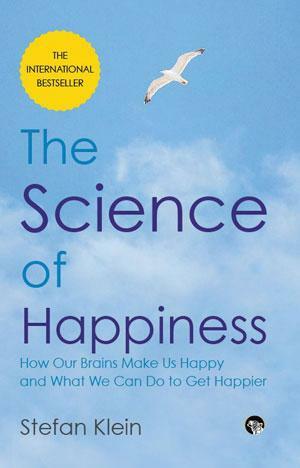 Two recent and significant discoveries explain the human urge for happiness. The first reveals that the human brain has a kind of a special circuitry for joy, pleasure and euphoria, and the other shows that our brain continues to change even after we grow up. This means the brain can reprogram itself using external experiences as well as learning on its own. Citing innumerable research findings, ongoing experiments, interviews with scientists as well as real examples from everyday life, Klein has pieced together an absorbing account of the human brain. While doing so, he has quoted numerous philosophers, gurus, writers and poets (including Tagore) and demolished some popular myths about the human brain. Without sounding preachy or technical, the author has conveyed the complex scientific ideas and concepts in an easytograsp narrative. The author details the role and mechanisms that brain chemicals or neurotransmitters like dopamine, opioids, oxytocin, betaendorphin and luliberin play in the manifestation of different forms of happiness such as love, desire, sexual attraction, passion and friendship. While dealing with the “dark side of desire” such as drug addiction, the author explains: “Like many things that have multiple applications, the brain circuits for pleasure are vulnerable to misuse.” This is significant because the human brain has a single, all-purpose system for desire and its gratification—and not separate circuits for controlling our desire to eat, another for love and a third one for social recognition. That’s why, he says, “Deadly sins can be seen as an overshooting of our natural desire for happiness.” The experience of addiction permanently transforms the functioning of certain nerve cells in the brain, altering the way in which genetic information is read and changed into proteins. The brain has a survival mechanism that helps us to deal with dangers or negative thoughts. More importantly, it has the ability not just to recognise threats, but also to imagine them. This system can sometimes result in problems like depression, which is nothing but chronic sadness. Depression, Klein says, is: “The price we pay for our imagination and intelligence.” More than pills, it seems small activities can bring a feeling of success that can help overcome sadness. Physical activity too helps a great deal—it stimulates neuron growth and works against depression and overall health of the brain. The book drives home the point that there is no formula to achieve happiness, yet it gives some general tips about the wellbeing of the brain. 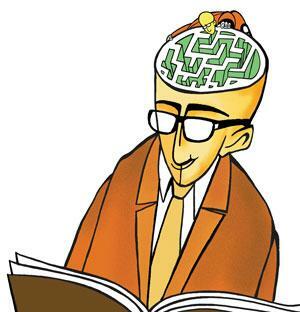 At the beginning of the book, the author promises that “after you have read this book, your brain will look different than it did when you started”. Not sure about the changes that have occurred in the reviewer’s brain, but the book is certainly a treatise for anyone even slightly curious about this vital function of human body. Recent DISCOVERIES in neuroscience, especially on the insight that the brain is malleable and that it can change in adulthood—which is what enables us to train our relationship with our emotions. And neuroscience has shown something else: happiness is more than simply the absence of unhappiness. We have dedicated circuits in our heads for positive feelings, enabling pleasure and enjoyment to thwart negative emotions such as sadness and fear, much as wind drives away fog. Our ability to make our lives happier rests on these two basic principles: we can strengthen the circuits for the positive feelings with conscious practice, and we can seek out situations that give us pleasure and enjoyment.